All Those Bridges - monemades Webseite! When we went on our summer holidays to the US last year, Sockupied had just released a call for submissions for sock patterns. 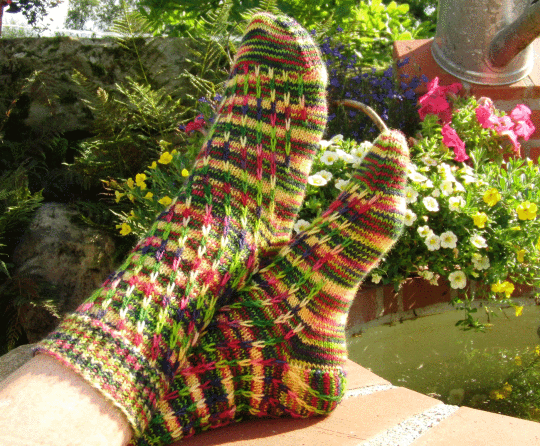 Well, you all know that I love to knit socks and design sock patterns, don't you? So I was kind of sad that I'd be on holidays - but then, with all that travelling we had planned, there surely had to be some time to knit? 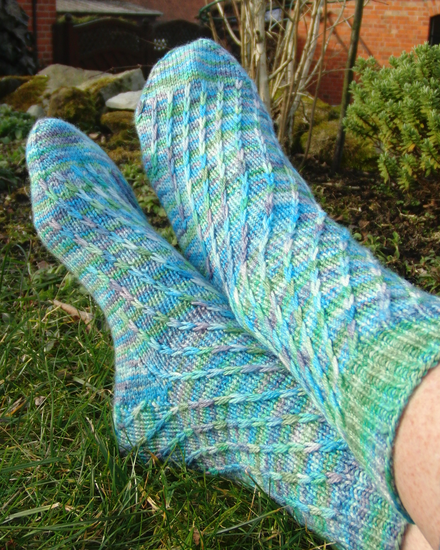 And the category that tickled my fancy was 'one sock, two ways': one sock pattern that looks just as good in variegated yarn as it does in a solid or semi-solid colourway. I rarely knit with variegated yarn, because I find that it often spoils the pattern, so to come up with one that showcases the yarn's beauty but doesn't 'get lost' in all the colours was what I wanted to do. So I bought beautiful variegated yarn in one of the many yarn stores in Portland, (really? I felt dizzy when I just saw the number of stores Knitmap found for me... A yarn crawl in and around Portland would certainly make my 'yarn piggy bank' suffer), wound it right away and got started. 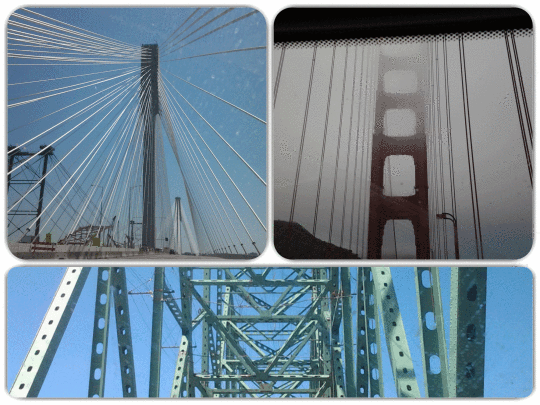 I knit (and sometimes frogged) on our way further north and in the end it was all the bridges we saw that inspired me. Mailing my swatch and submission documents was an adventure, too, cause I only remembered when we were about to cross the border to Canada and it would have never made the deadline mailed from there. So I was glad we took a small detour to Idaho - even though I haven’t seen much of the state, I can tell you that the staff at the PO in Coeur d’Alene is very kind and helpful. And guess what? My pattern, that I called 'Chains', got accepted. Whoopee! You can find it in the latest issue of Sockupied, Spring 2015, that was released yesterday.